Will Sept. 12 be the day? Limited production and no rose gold? Facial recognition and all-screen confirmed? Frickin’ laser beams in the friction camera?! Delayed wireless charging and a sky-high price tag? Update 9/12/17: Apple has officially announced the iPhone 8 and the iPhone X at its Apple Park event. Apple is still selling tens of millions of iPhone 7s every month—but all everyone can talk about is what’s coming next. After all, 2017 marks the iPhone’s 10th anniversary, so Apple is reportedly gearing up to make this year’s model extra special. If you passed on the iPhone 7 to wait for the iPhone 8—or the iPhone 7s or whatever name Apple decides to use—it sounds like the next phone could be the design refresh you were waiting for. Just don’t expect the headphone jack to return. We’ll keep track of the latest rumors and how plausible they are, and we’ll put them in one spot (this one!) so you can pop on over whenever you want to read the latest. The rumor: First we had the HomePod firmware leak. Now we have the iOS 11 leak. 9to5Mac has gotten its hands on the final build of the next iPhone's OS, and it confirmed a lot of the rumors we had heard about iPhone 8. (Actually, make the iPhone X.) And that's not all we learned. 9to5Mac also uncovered more images of the bezel-less design with the tell-tale notch, Face ID for unlocking, the new navigation bar, and something new, a possible True Tone display. Additionally, there will reportedly be a new feature called Animoji, which will let users create animated emoji based on their specific expressions, as well as new Portrait Lighting modes in the camera app to enhance bokeh images. Got all that? Plausible? It's hard to believe that the two biggest iPhone leaks can from Apple itself, but here we are. It would have to be a pretty elaborate subterfuge for the information gleaned from the leaked iOS GM to not be real, but all will be revealed Tuesday. The rumor: Apple spent the summer ramping up production of its new iPhones, but "glitches" that occurred will result in short supply and shipping delays. This is according to a report in The Wall Street Journal. The WSJ also says that the iPhone manufacturing process is a bit more involved compared to that of a Samsung phone—Samsung is the provider of the OLED screens for the iPhone. The report also says that the initial sales period is expected to start on September 22, ten days after the September 12 event. Plausible? There have been reports all summer long about shortages with the OLED screen that Apple plans to use. With only one supplier and assembler, delays aren't surprising. Be prepared to wait an extended period after placing your order. The rumor: After reading about all the hardware changes allegedly due for the iPhone 8, we had some questions. How will the virtual home button work? How do we access Siri? How do we get to the multitasking carousel? A new report from Bloomberg Technology answers many of them. According to Mark Gurman, Apple is planning on introducing some interesting changes to the iPhone 8 version of iOS 11. Most notably, there will be a redesigned Dock with a new interface similar to the one on the iPad version of iOS 11, which is accessible from anywhere. 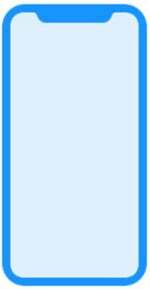 Below that will be a “thin, software bar“ across the bottom of the screen in lieu of a home button. According to Gurman, users will be able to drag the bar up to the middle of the screen to unlock the phone. A similar gesture will launch the multitasking carousel while using the phone, and then another flick upwards will close the app and return to the home screen. Apple will be embracing the camera notch at the top of the screen, “showing a definitive cutout at the top of apps with non-black backgrounds” and dividing the status Save and exit bar into two halves when on the home screen. Plausible? Absolutely yes. Gurman’s sourcing is usually excellent, but even beyond that, the changes outlined here are smart and sensible. Without a home button, swiping and tapping will take on even greater prominence in iOS 11, and it seems Apple has struck a balance between simplicity and efficiency with the new bar at the bottom of the screen. Swiping up to both unlock and switch apps might actually be even more intuitive than tapping the home button, but we still have one question: Will we still be able to access Siri by long-pressing? Plausible? The rumor of the September 12 event date has picked up a lot of steam lately. The date makes a lot of sense; Apple could start taking orders at the end of that week, and the new iPhones would start shipping to customers by the end of the month. This is a pattern that Apple has done in the recent past. The rumor: The New York Times’ Brian X. Chen wrote an analysis on why the iPhone has been so successful for ten years. He also mentions that the upcoming iPhone release will include “a premium model priced at around $999,” according to his sources. He also says that the premium model will have a smaller bezel, facial recognition, and charging via magnetic induction. Plausible? Chen’s report is consistent with rumors of a premium phone with a premium price tag. The features he mentioned also align with the rumors. 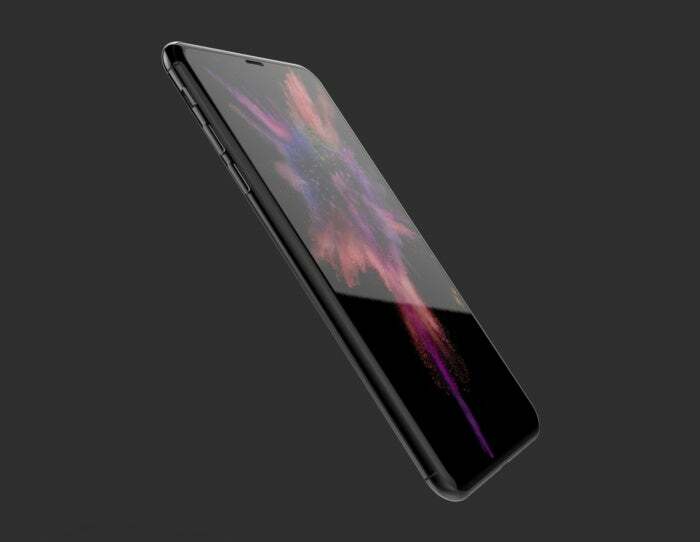 It looks like the iPhone 8 is going to be an expensive phone. The rumor: iPhone 8 mockups, “prototypes,” and “dummies” are making the rounds in the tech media. People are creating physical models based on the rumored specifications and what was revealed in the HomePod firmware. If you’re interested in what people think the next iPhone will be like, here are a few stories and videos to check out. Plausible? The HomePod firmware dig revealed a lot about the upcoming iPhone, especially about the screen, so the the mockups of the iPhone screen seem the most plausible. A lot of other thing about the design—like whether it will have a glass or metal back, and the camera alignment—is still speculative. The rumor: The trusted analysts at KGI Securities are predicting some good news and bad news in terms of the new iPhone launch next month. Good news: Three new models—a 4.7-inch iPhone 7s, a 5.5-inch iPhone 7s Plus, and a 5.8-inch OLED iPhone 8—will arrive in September. This contradicts an earlier rumor that the OLED iPhone 8 was behind schedule and wouldn’t go on sale until late October. Now for the bad news: KGI is also predicting that only two to four million OLED units will be available at the beginning, with Apple ramping up production to 45 to 50 million later next year. Even worse? KGI said that the new iPhones will only come in three colors: black, silver, and gold. Plausible? After previous rumors of delays, it sounds like Apple is willing to do anything to get the OLED iPhone out in time. Even if that means making only a very-limited supply at first, and having to sacrifice a wider range of color options. It may also be wishful thinking, but it’s hard to believe that Apple would make a new special anniversary iPhone that does not come in a new exclusive color. Especially after the jet black and red options proved to be so coveted, and rose gold has now been embraced as a signature Apple color. Hopefully more color options will become available in 2018 as OLED production ramps up. Again, wishful thinking. The HomePod firmware contains an image that looks an awful lot like the rumored iPhone 8. The rumor: We’ve been hearing for weeks that the iPhone 8 will ditch the home button for a radical new design built around a new OLED screen that covers nearly the entire front of the handset. But as with all rumors, we’ve been skeptical. However, it appears as though an eagle-eyed iOS developer has uncovered the truth. Steven Troughton-Smith dug into an early firmware release for Apple’s upcoming HomePod speaker and found a treasure trove of information about the iPhone 8. Most notably, it seems to confirm that the iPhone 8 will dump Touch ID. According to Troughton-Smith, the pre-release firmware includes several references to a new “BKFaceDetectStateInfo” string, which seemingly refers to a new face detection biometric system. The iPhone’s camera may also be able to recognize your face, even if it’s laying down on a table. Additionally, the firmware contains a small icon of the iPhone 8, and it matches up nearly perfectly with the rumors, right down to the camera cutout at the top. The rumor, part two: And that’s not all the HomePod firmware has revealed. Troughton-Smith has unearthed a few more goodies about the next iPhone, most notably the likely screen resolution. He uncovered references to a resolution of 1125 x 2436, which would give the iPhone 8 a 5.15-inch 3x Retina display at 521ppi, making it the highest resolution iPhone screen ever. Back in February, highly accurate tipster Ming-Chi Kuo predicted this exact size for the iPhone 8. However, he explained that the full size of the screen would actually be 5.8 inches at 1242 x 2800, with part of the bottom reserved for the virtual home button and other functions. Troughton-Smith also discovered references to a “home indictator” rather than a home button, so it’s likely that Kuo was right on the money. Additionally, tap to wake functionality, a popular feature on Android phones, will likely make an appearance, but Troughton-Smith sees nothing to indicate under-the-display Touch ID. Plausible? Um, yeah. Of all the rumors we’ve read—and that’s no small number—this is the most believable. Unless Apple is trolling us hard, it’s pretty clear that the iPhone 8 will have a new facial recognition biometric and a completely new design. While the pieces here don’t necessarily confirm the rumor that Touch ID will be going away, it certainly lends credence to the idea, especially in light of the home button-less image and home indicator reference. At any rate, with each passing day (and rumor) we’re getting more and more excited about the iPhone 8, whatever it costs. 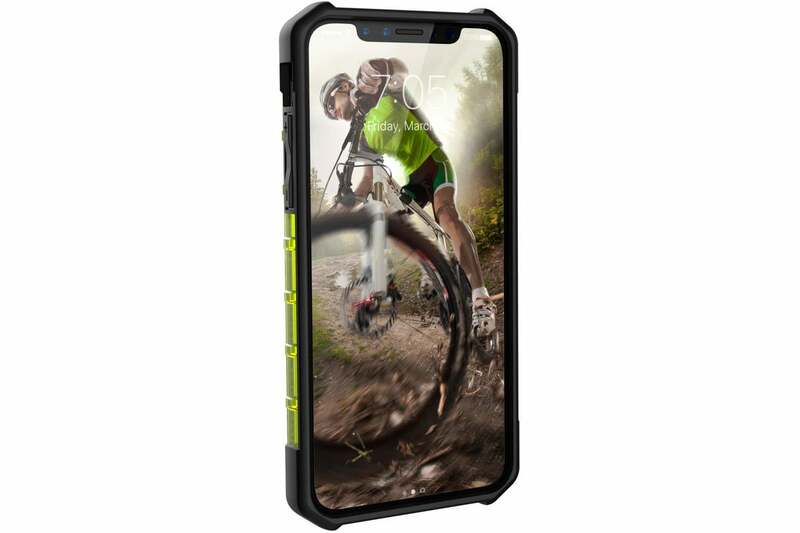 Evan Blass posted this render of an all-screen iPhone 8 in an Urban Armor case on @evleaks. The rumor: We already know that Apple is hard at work at a killer AR framework that lets developers create amazing virtual experiences, but Fast Company reports that Apple is working to add a rear-facing 3D vertical-cavity surface-emitting laser system to the iPhone 8. What that means to us is a killer way to lock in on what the camera sees. According to the site, the new sensor will accomplish two tasks, enabling better depth detection for augmented reality apps, and implementing more accurate autofocus for photography. As it stands Apple has done some amazing things with ARKit, but all eyes are on the iPhone 8 to bring it to the next level. Fast Company cautions that the feature might not be ready for this year’s phone—or might be limited to the higher-end models—but one thing is for sure: A laser sensor in the iPhone 8 would certainly give Apple a needed boost in the AR race. Plausible? Apple’s augmented reality ambitions were all speculation until WWDC, but now that ARKit has landed, it’s clear that AR is a big part of Apple’s iOS roadmap. And the next iPhone is the perfect device to showcase what the new tech can really do. A depth-detecting laser sensor incorporated into a next-generation dual-camera system will instantly make the iPhone 8 the most intriguing handset for AR, giving it an edge that might actually make it useful for something more than capturing Pokémon at the park. The rumor: It’s all but confirmed that the iPhone 8 will have wireless induction charging built in, like many of its Android peers. There’s even some images that suggest a wireless charging coil. Some new speculation from Daring Fireball’s John Gruber suggests it might not be ready when the handset launches. In a tweet he writes, “I’ve heard that inductive charging … might be late, waiting for iOS 11.1 (a la Portrait mode last year).” One of the premier features of the iPhone 7 Plus is Portrait Mode, which blurs the background around your subject to create a depth effect, but early adopters had to wait a few weeks to get it. If you remember, the iPhone 7 launched on Sept. 16, but Portrait Mode didn’t arrive until over a month later, on Oct. 24. It would be a bummer if wireless charging were similarly delayed on the iPhone 8, but because Gruber also says the charger will be sold separately, we might be waiting a while before the accessories ship anyway. Gruber also opines on the price of the iPhone 8, or as he calls it, the iPhone Pro. In a lengthy post on his site, he concludes that the new OLED model will likely start at $1,200 for 64GB of storage. That’s a sky-high price for sure, but rumors have been swirling about the four-figure price of the iPhone 8 for a while now. Plausible? John Gruber doesn’t play the rumor game all that often, but when he does, he generally has solid information. As such, both of these nuggets are entirely possible. It’s not uncommon for Apple to delay features until they’re just right, so it would sooner delay wireless charging than ship a buggy version. Gruber also lays out a surprisingly compelling argument for such an expensive phone. In short, Apple will be fighting supply issues for months to come, so it needs to offer a reason for tens of millions of people to buy the regularly priced models releasing alongside it. A $300 difference in price would certainly fit the bill. The rumor: After months of conflicting reports that put the iPhone 8’s fingerprint sensor either under the display or on the rear casing (as with Android phones), often-accurate KGI Securities analyst Ming-Chi Kuo has dropped a bombshell (via StreetInsider): The iPhone 8 won’t have a Touch ID sensor at all. Apple is reportedly dumping fingerprint support in favor of facial recognition, which will be enabled by a new 3D-sensing front camera. The report also backs the existence of the camera cutout at the top of the screen, which will give the 5.8-inch iPhone 8 bragging rights as the phone with the highest screen-to-body ratio, besting even the Samsung’s super-slender Galaxy S8. Plausible? It’s starting to look like this is going to happen. A previous post on Reddit floated this idea, and now one of the most accurate tipsters in the Apple universe has backed the claim. Touch ID has had a major impact on the security of our iPhones, not just with unlocking, but also with secure files, Apple Pay, and App Store purchases. In our experiences with facial recognition, it’s not nearly as accurate or convenient, and hackers have had better luck with spoofing it. We’ll have to see what Apple does here, but this seems like a worse move than killing the headphone jack. The rumor: The iPhone 8 will feature both waterproof capabilities and wireless charging, according to a report in Nikkei Asian Review. The information comes from Wistron, one of Apple’s assembly companies, which told shareholders on Wednesday that the new features will “alter the assembly process a bit.” Apple made last year’s iPhone 7 the first to be considered water-resistant, and we’ve heard previously that Apple is seriously considering wireless charging. It’s unclear, though, whether the all-new 2017 iPhone will sport these new capabilities. Plausible? It makes sense that Apple would want to take the iPhone 8 one step further in terms of water-resistance, so making it technically waterproof is the next logical step. Apple is notoriously cautious in designating its products waterproof or even water-resistant, though, so we’ll see if the company makes this claim in the upcoming iPhones. As for wireless charging, this seems likely. Apple joined the Wireless Power Consortium last year, and previous rumors have indicated that all new iPhone models being released this year will feature wireless charging. So if you’re going to bet on an all-new feature, wireless charging is as close to a safe bet as we’ll get before launch date. The rumor: There are conflicting theories regarding the iPhone 8’s launch window. Some have speculated that Apple may miss the traditional September launch window because a lot of custom-ordered parts, including pieces for the display, wireless charging, and printed circuit boards, won’t be ready by September, according to the latest findings from Nikkei Asian Review. The iPhone 7s models are expected to come out on schedule, however. In this report, an analyst from research company IHS Markit confirmed that Samsung is now the exclusive OLED supplier for the new iPhones, because Samsung specializes in manufacturing curved smartphone displays. However, the analyst says “Samsung is facing challenges in delivering what Apple wants,” even though they’ve cranked out close to 75 million curved iPhone displays so far. This is not the first time we’ve heard that Apple has faced roadblocks during the iPhone 8’s production. This follows an earlier report from reputable KGI analyst, Ming-Chi Kuo, which reported that the iPhone 8 will be out in October or November due to these supply issues. Previously, Digitimes reported that Apple was facing delays in developing its proprietary fingerprint sensor for the new OLED-equipped iPhone 8 (if, indeed, that feature will remain on the phone). Additionally, Japanese news site Macotakara reported that STMicroelectronics, the new supplier of the iPhone’s 3D camera sensors, needed more time to ramp up mass production. With all these production issues, some reports even suggest the iPhone 8 won’t come out until 2018. Rumors being what they are, analysts at JPMorgan had predicted Apple would take the wraps off its new iPhone at the Worldwide Developers Conference in June, based on a note obtained by 9to5Mac. This is something the company hasn’t done since 2010—and didn’t do this year, after all. Plausible? At first, it seemed very unlikely that Apple would miss its typical September launch date. Plus, Digitimes doesn’t have the best track record when it comes to iPhone rumors. But now that Nikkei Asian Review and Ming-Chi Kuo are jumping on board, this rumor gets a credibility boost. Apple is tinkering with assembling OLEDs for the first time, as well as incorporating new camera sensors and fingerprint sensors (if the latter is still a feature). If there were an iPhone model that required a little more time, the iPhone 8 would seem to be it. We’re not surprised the JPMorgan prediction fell through. During the company’s second-quarter earnings call, Apple CEO Tim Cook said people were pausing their iPhone purchases because they saw rumors of upcoming iPhones and wanted to wait. Announcing an iPhone 8 in June and not making it available to buy until September would all but kill Apple’s iPhone business—at least without hefty discounts to spur sales. Plausible? Even if the iPhone 8 doesn’t come out until way later this year, Apple shouldn’t be too worried. A new, souped-up iPhone would be perfect for the holiday shopping season, and investors are already drooling about the higher demand it could trigger. It’s also possible that Apple has come across some unexpected costs in producing the all-new iPhone 8, especially because is the company’s first time building in an OLED display. The iPhone 8 is already rumored to command a higher price tag, so even if Apple has to pay more to provide the same features, its margins will remain intact. Concept video based on CAD schematic? The rumor: A new concept video has surfaced that renders some of the most prominent rumors about the iPhone 8. The video showcases the iPhone 8’s OLED display, as well as the vertically aligned rear camera system. Based on a factory computer-animated design schematic, the video is courtesy of French gadget leaker Steve Hemmerstoffer, known as OnLeaks on Twitter. Plausible? Hemmerstoffer has a good track record when it comes to iPhone rumors. Last year, he posted a photo of the iPhone 7 case months before the device was unveiled. However, even Hemmerstoffer admits the latest video may not be 100-percent accurate because Apple is testing various prototypes of the iPhone 8. “I can’t confirm this is 100% accurate,” he tweeted. Watch the video below.